We were pleasantly surprised by the number of responses we got from you guys on the inaugural week of our 17-week Story Contest! It was hard to pick our favorite, so we picked two. We’ve posted both stories below and will be contacting the storytellers in short order. Thanks so much to everyone who took part and see you again with a new question on Monday! Week 1 Question: Have you met anyone because you were a Nields fan? While I have met many friends via The Nields, there is no way this story could be about anyone except Charlotte. If this were a movie, there would be a montage of missed connections. Charlotte and I have known each other virtually through the Nields Nook since we were teenagers in the late 90s. We were often in the same places without meeting. We went to many of the same concerts. We both attended Falcon Ridge Folk Festival, 10 hours from home. I once went to a show with several friends, and ended up meeting Charlotte’s mother. One of the friends I was with that night ended up marrying Charlotte, but he met her mother first. Eventually, Charlotte chose to go to UNC-Asheville, the same college as me. That first day we arranged to meet in the student center. I saw the person I was sure was Charlotte, but no amount of eye contact seemed to get her to acknowledge me. She later admitted to being nervous, and we made new plans to meet. We spent hours talking like old friends. We’ve lived together, with Christmas lights and her TV. We’ve spent years separated by states and oceans, yet still managed to be in each others weddings. In 2009 we ended up back in North Carolina, waiting on the arrival of her son. In 2010 Charlotte stood by me as I welcomed my daughter into the world. In 2011 I did the same for her. I hope we will continue that tradition this summer for the birth of my second child. We grew, and still we grow. Ha! Did I meet *anyone* because I am a Nields fan? In fact, I met *everyone* because I am a Nields fan! New to the area in the fall of 2012, I was looking for ways to make friends and feel connected to the community when someone suggested signing up for a Hootenanny class. But, desperate to find my Valley tribe, I signed us up for a Hoot class, picturing us dancing and singing in a huge mass of parents and babies and toddlers (we moved from Boston, where “small” classes are anything but). When we got to our first class, I was astounded to see that there were maybe 20 families. Two families had children in my older son’s preschool class, and we got to know them much better over several Hootenanny seasons. Two other children ended up being in my younger son’s gymnastics class, and our Hoot connection jumpstarted that friendship, too. At various kid-friendly events all over the Valley, I’d overhear unique children’s names that I recognized from the Goodbye Song, then mosey over to their parents to strike up a Hoot-based conversation. 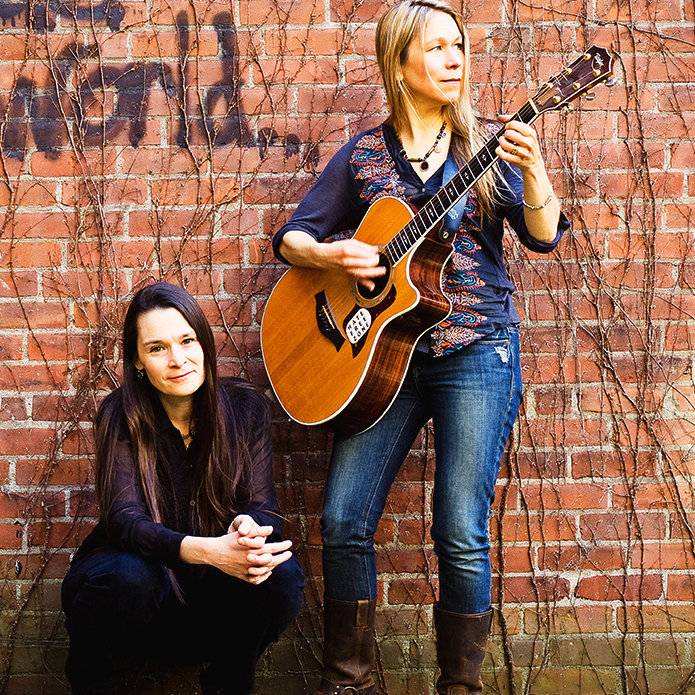 Oh, Nields! How would we have settled in to life in the happy valley without you? Since we had a repeat winner last week we felt justified in picking 2 winners for this one (even though one of those was also a repeat winner). The usual tie-breaker was no help because all 3 of us agreed both of these stories were pretty great. We got all excited for Spring when we wrote this week’s question. Then it went and got a little wintry on us again. Thanks to those who took part and we’ll be back Monday with a hopefully weather-appropriate new addition to the Story Contest.